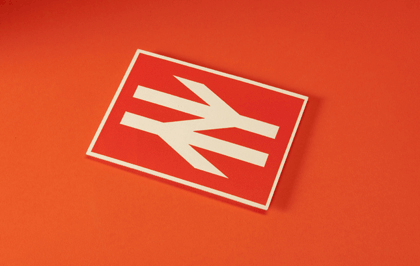 Design Research Unit (Milner Gray), invitation to the New Face of British Railways exhibition, Council of Industrial Design, 1965. Photo: Martin Hartley. Formed in London in 1942, the Design Research Unit was responsible for some of the most important design produced in post-war Britain. It pioneered a model for group practice, being the first consultancy in the country to bring together expertise in architecture, graphics and industrial design. By the 1970s it was one of the largest and most established design offices in Europe. This exhibition is the first of its kind, mapping the history of the group and the currency of their designs. It identifies key examples of their work and documents an approach that was shaped by inter-war developments in artistic discourse and post war trends in industry and communication; in particular the accelerated demand for corporate design. Cubitt is an independent organisation controlled by its members: a community of over thirty artists dedicated to enlivening London's cultural communities. Cubitt upholds the importance of the artist-run space, and by virtue of its diverse studio, gallery and off-site activities, continues to promote national and international developments in visual culture. These comprise exhibitions, performances, screenings, symposia, talks given by artists, critics, or curators as well as educational projects.